January marked a major accomplishment where something I had only dreamed of last year became a reality when we launched our fitness eBook, Get Fit Done. Together with my friend and fitness expert, Cari Shoemate, we combined our talents and poured our hearts into this comprehensive 128-page Guide and we couldn’t be more proud of how it turned out! We’ll be starting Week 1 together on Monday! The name for the Fitness Guide came from a play on GSD, and you know that that means! The beginning of the year always starts with getting everything in order and refreshed. If you need motivation to get it all done, I shared my tips and how I’m working on minimizing. 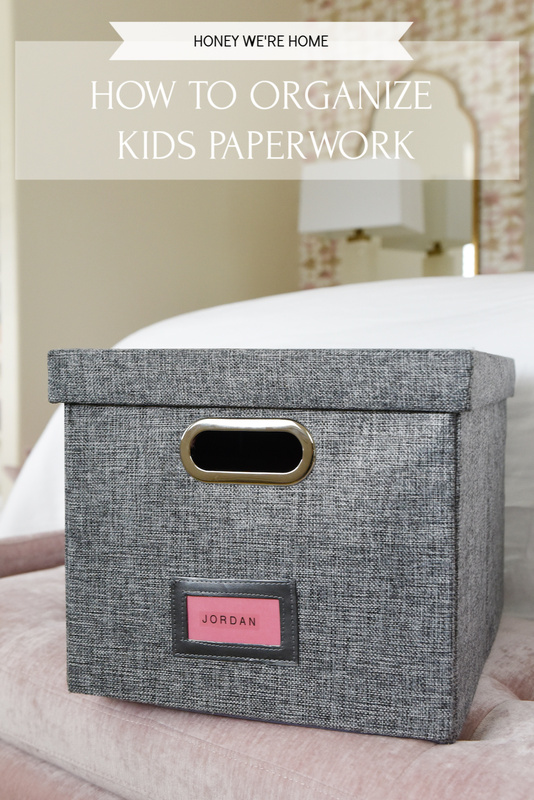 During Christmas Break this year, I made a point to organize the kids’ paperwork and it feels so good to have everything in one place and know where that place is! As for what YOU are loving this month, y’all are big fans of cozy sweatshirts and sweaters. I totally get it! 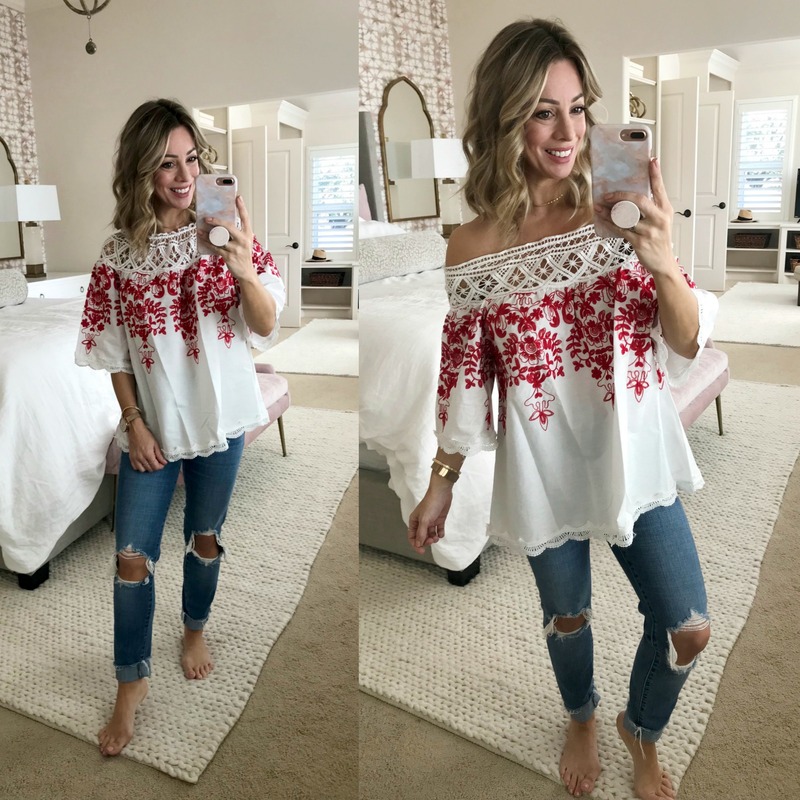 The twist front pullover has taken me through just about every season this past year! I’m currently eyeing the coral sugar color! 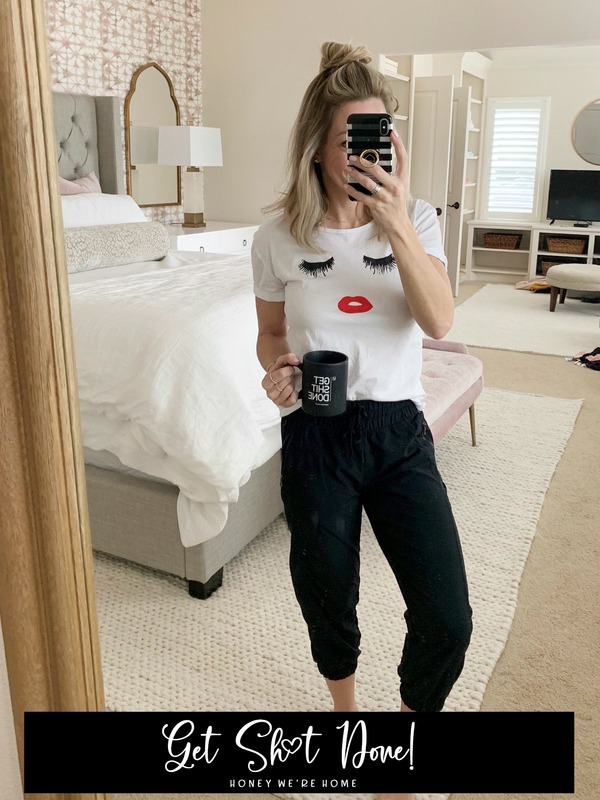 I shared my travel must-haves early in the month as my goal is to take more quick, easy trips this year! I’d love to hear your recommendations for a warm Spring Break destination with the kids. Our Spring Break is in early March, so it’s still pretty chilly here in Houston. I love that the beginning of the year gets to be the “FIRST” of everything and my first Dressing Room post was a fun one too! Our weather this month has been a crazy mix of warm and cold, with the cold in the lead lately. 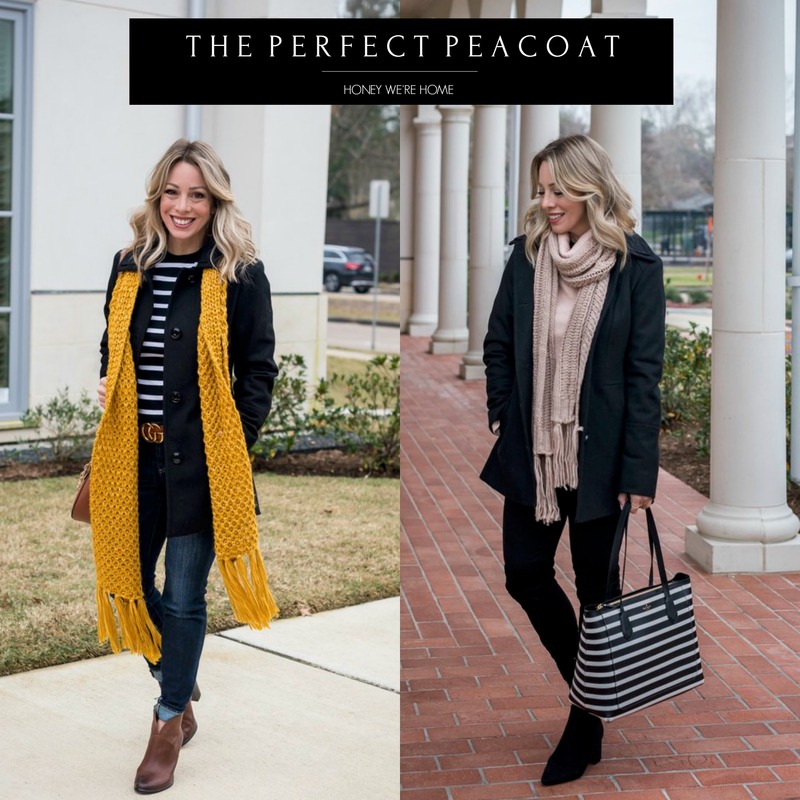 On those days, this peacoat has kept me both warm and stylish! It’s a great value at only $85, normally $195. 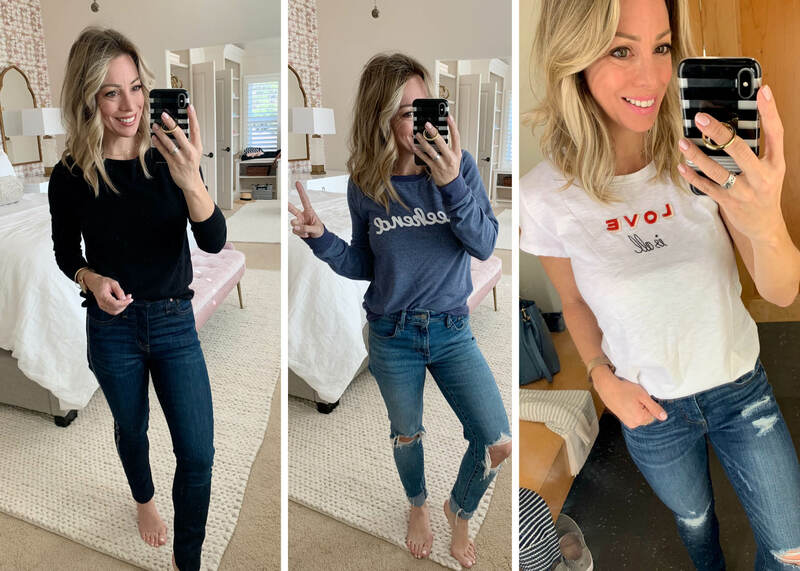 If you’re looking for Winter Outfit inspiration I put together all of my favorites for those brisk days. I hear lots of you are in the negative temps and snowing! I remember those days from when I was a kid living in Ohio! 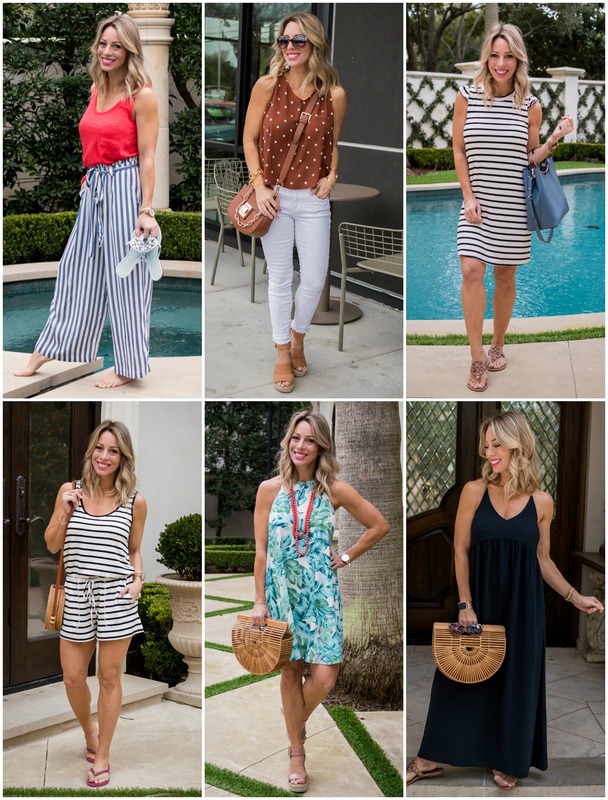 If you’re ready to usher in Spring and already planning your next sunny trip, you definitely need to get your hands on the Cutest Resort Wear you ever did see! I don’t think I’ve ever been so happy to see a month come and go! I’m ready for February, the month of love! 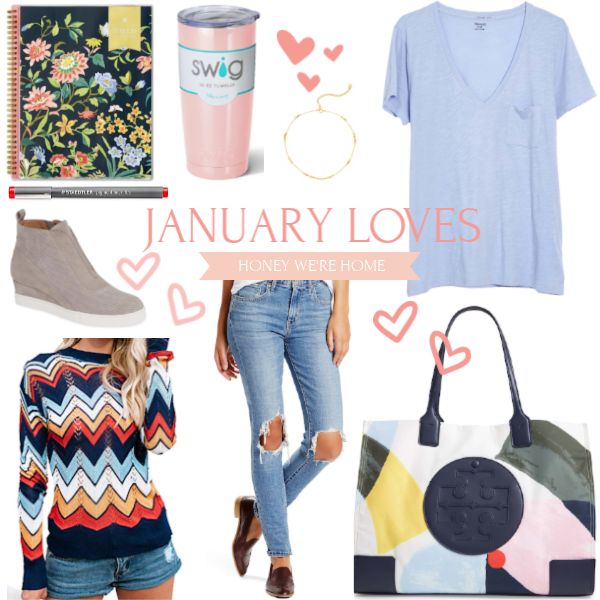 ♥ In fact, I’ll see you back here tomorrow with my Valentine’s Day gift guide and wish list! Thank you for replacing the first photo!